1test1™ - Test based on genetic sequencing and which provides an in depth report of the bacteria present in your intestinal flora. 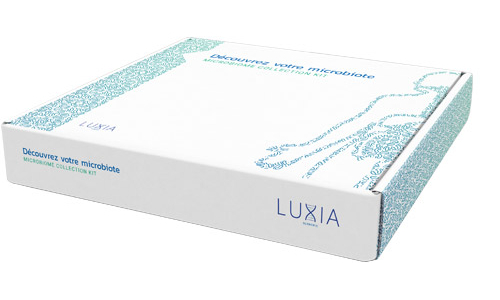 1test1™ is a diagnostic that allows you to discover your gut microbiome. It is based on the latest advances in genetic sequencing and targets bacteria (this is targeted metagenomics). Easy to use, simply ship in the pre-paid envelope a stool sample collected with our kit. Your gut microbiome is mostly made of bacteria. Thanks to technological advances, such as Next Generation Sequencing (NGS), it is now possible to quickly characterize all of the bacteria that reside in the gut. 1test1TM uses a technology called targeted metagenomics. It is based on the sequencing of a gene called 16s rRNA. Sequencing this gene , or part of this gene, makes it possible to understand which bacteria are present in a sample. In collaboration with the IBBL, the leading European laboratory for targeted metagenomic analysis, we are sequencing the V3-V4 region. Many intestinal bacteria are very beneficial to health through their numerous contributions. They participate in digestion, including the fermentation of substrates and non-digestible food residues. They are the best natural protection against pathogenic bacteria, ie external bacteria that can cause serious disorders. These bacteria also have an important role in the education of our immune system which is key to develop immune responses adapted to a given pathogen. The synthesis of certain vitamins, such as vitamin K and B12, is exclusively carried out by the gut's bacteria. More and more studies highlight the role of the gut microbiome in many pathologies. The values ​​presented in this report correspond to a relative bacterial quantification, that is to say that the numbers correspond to percentages. Your values ​​are presented in relation to a group of individuals living in Europe and selected for you on the basis that they are in good health. We sought to make the results visually pleasing and comprehensible to the greatest number. However, we encourage you to seek professional advice before any change in diet or lifestyle. Do not hesitate to contact us for a list of health professionals who have used our test.